Small businesses are beneficial for local economic prosperity as they contribute to the nation’s financial gain and create job opportunities. At present, the Malaysian government aims to facilitate the growth of small businesses through innovation and productivity as a measure to become a high-income nation by 2020. However, agriculture sector-specific business data is still in scarce. 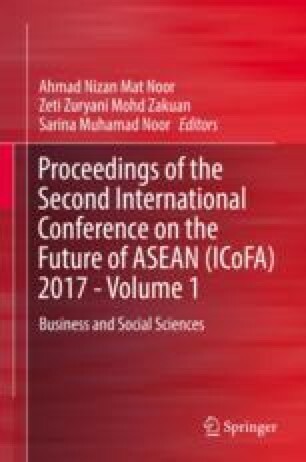 Thus, this paper aims to provide the sociodemographic profile of Malaysian ASME owners as a measure to demonstrate the preparedness of small business owners, especially in the agribusiness sector to accept and practice changes promoted by authorities. Structured interviews were conducted with the aid of closed-ended questionnaires with 297 respondents conveniently sampled from six different states: Terengganu, Perak, Selangor, Johor, Sabah, and Sarawak. As a result, microscale businesses were found to dominate the business count for Malaysian ASMEs. Apart from that, 57.1% of businesses are conducting marketing as the core business activity. Processed food was found to be the most popular sub-sector ventured by Malaysian ASMEs owners, involving 41.6% of respondents. A gender imbalance of 16.2% was found in terms of participation with more male than female ASME owners. In terms of age, the participation of youth is 52.0%. However, only 32.6% of business owners had attained tertiary education. Most of the respondents (72.5%) are married. In addition, 61.5% of ASMEs owners are having between one and five dependents. Moreover, 51.7% of them are earning below RM 3000 per month. On the other hand, 57.7% ASME owners are former wageworkers either from public or private sectors. From these findings, it is clear that participation of youth and women in this sector should be boosted. However, it is necessary to consider the execution mechanism to be suited with secondary school leavers. In short, with the availability of ASME owners’ demographic profile, future SME development agendas are expected to be more appropriate. We would like to thank the Malaysian Ministry of Higher Education for providing the fundamental research grant to conduct this study. Besides that, we would like to express our gratitude to Federal Agricultural Marketing Agency (FAMA) of all six involved states for facilitating the data collection. The cooperation of all our 297 respondents are also much appreciated. Malaysian Investment Development Authority (MIDA). (2015). Food technology and sustainable resources. Retrieved from http://www.mida.gov.my/home/food-technology-and-sustainable-resources/posts.